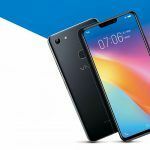 With MWC 2019 just around the corner, smartphone manufacturers across the globe seem to be in the mood to showcase their new products for 2019. In fact, by April we should see most of these companies starting to bring these new products to the market. One thing that almost certainly happens when new products are launched is the likely drop in the prices of older ones. This phenomenon is common in the Indian market as well. Anyway, the reason we are talking about this right now is that Chinese smartphone makers Oppo and Vivo have silently announced price cuts to several of their handsets before MWC 2019. 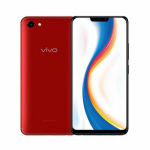 The handsets that have received the price cut include the Vivo V11, the Vivo V11 Pro, the Vivo Y81i, and the OPPO A7. Let us now check out the details of this price cut. Before we talk about the price cut details, it should be noted that the news of this price cut did not come officially from either Oppo or Vivo. Our source of information as far as these price cuts go is popular telecom retailer Mahesh Telcom who tweeted all the details in a series of tweets earlier today. Here’s a summary of what his tweets reveal. We will start with the three Vivo devices. First, we have the Vivo V11 Pro which was until now sold for INR 25,990. This handset has received an INR 2,000 price cut and will now be sold for INR 23,990. 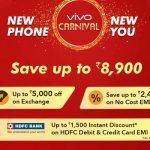 The second Vivo phone to get a price cut is the Vivo V11 which went for INR 20,990 in the offline market. This handset will now be sold for INR 1,000 less with an effective price of INR 19,990. Lastly, we have an entry-level device from Vivo known as the Vivo Y81i. This handset which was until now sold for INR 8,490 has now been priced at INR 7,990. Here’s the tweet in which Mahesh Telecom talked about these handsets from Vivo. Apart from the three handsets from Vivo, one device from Oppo also saw a minor price cut. This handset was the Oppo A37 3GB version. This phone which was sold for INR 14,990 until January 31 will now be sold for INR 13,990. Here’s the tweet in which Mahesh Telecom detailed the price cut on the Oppo A37 4GB version. 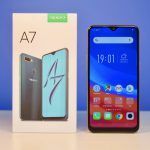 #PriceDrop #OPPO A7 3GB w.e.f 1/2/2019. 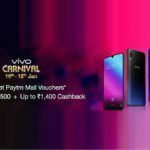 It is interesting to note that these price cuts come at a time when both Oppo and Vivo are on the verge of rehashing their products in India. 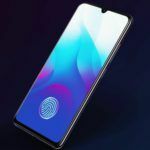 Oppo, for example, is all set to launch its new Oppo K1 on February 6 in the country. 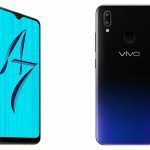 As for Vivo, the company is reportedly planning to launch its new handset – the Vivo V15 Pro in India soon. 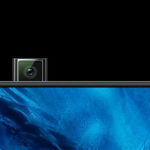 This is a very interesting handset with a pop-up selfie camera. We will share more details of the Vivo V15 Pro in a separate article.